Returning guest Jen Flynn with Nurses Service Organization (NSO) discusses the real risks that personal and unguarded social media use poses and the best practices young nurses can use to ensure that how they use social media is professional. Jennifer Flynn is the Healthcare Risk Manager of Nurses Service Organization (NSO). Jen’s main responsibility is to ensure that the nurses are aware of the liability risks that they might be facing in their professional practice. NSO provides malpractice insurance to nursing professionals. NSO has been protecting nurses for over 30 years with over 650,000 healthcare professionals insured. Neal Howard: Welcome to the program. I’m your host Neal Howard here on Health Professional Radio, thank you for joining us once again. I’m in conversation today with returning guest Jennifer Flynn. She’s with the Nurses Service Organization and she’s going to talk with us today about the very real risk that unguarded social media use can pose to nurses that are just starting out in their careers. Welcome to the program Jen, thank you for coming back. Jennifer Flynn: Thank you for having me, glad to be back. Neal: We’re going to talk a little bit about social media and how that affects young nurses. For our listeners who may not be familiar with you when you were here before, just a little bit of background about yourself and a little bit about the organization. Jennifer: Sure, as you said my name is Jennifer Flynn. I am a Risk Manager here at Nurses Service Organization. I’ve been with NSO for about 17 years and my main responsibility here is to make nurses aware of the liability risks that they face in their professional practice, social media risks being one of them. Nurses Service Organization or NSO as we’re known in the marketplace, we provide malpractice insurance to nurses and advanced practice nurses and as part of that with the malpractice insurance, there’s also a licensure defense component to it so a lot of these social media claims that we see come through the Boards of Nursing through a complaint made so that’s why that protection is so important as part of this discussion. Neal: Now years and years ago – I’m going to date myself – there was really little chance of something that you may have said personally at a dinner table or maybe to a friend in a vehicle but those risks are very real now since social media seems to be the conscience of everyone. Everyone posts everything – their thoughts, their desires, everything on social media and oftentimes, some of the things that you post come back to haunt you sometimes years later. How is that pertinent in the world of nursing? Jennifer: Without a doubt, social media has become an integral part of modern life. And we joke around here “to tweet or not to tweet,” that’s the question but as you mentioned whereas in your personal life, it may have been harmless to post about where you were going or what you were doing with friends. In today’s day and age, nurses need to be aware of social media policies especially because it can violate a patient’s privacy and confidentiality as well as what is posted on the internet becomes discoverable by a court of law in a liability lawsuit and even if it has been deleted. So certainly, nurses need to take precautions when they are posting because it can create legal problems for them and it can create board complaints if a patient or even a colleague chooses to file a complaint against them for professional conduct reasons. Neal: Even if your post, your tweet, your email is deleted, it actually goes nowhere, it’s there forever and ever. That’s something that needs to be internalized by everyone. Jennifer: That’s true. Those tweets really never go away. If you take for example any photos or negative comments that you might post about patients, whether it be inadvertent or intentional, it can create legal problems and that includes any information that might identify the patient, or the healthcare setting or a specific department they’re working in. And so one of the things that we caution nurses against is that opportunity to post is so within today’s nature with today’s culture, that that instantaneous post allows little time for reflective thought of, “Oh, should I be posting this? What repercussions might it have?” And so nurses need to think about that if they’re using social media as part of their employment. Neal: And I I think that it’s very interesting to point out that not only a mistweet or a mispost, something that you shouldn’t have done in the first place but what about someone alleging that you have done this or maybe were a part of a post that you had nothing to do with? That can also cause a little bit of a ripple in a person’s career early on or maybe even deep into their career. Jennifer: Sure. If it comes back that nurse posted even they come home from work, they might post something about their day, it might be harmless, they didn’t maybe post any pictures but maybe we’re talking about the exhausting shift that they had, the patient who might have done something in the waiting area or maybe the irritability of the patient during the day. Something that might seem benign really could have an impact on them certainly with their licenses, their livelihood. I’ll give you a few examples. We’ve seen nurses maybe taking a picture of a man getting an EKG and posted it on Facebook. While another employee saw the post, they reported that nurse to their employer. As a result of this, the nurse was terminated, though the employer did not report the incident to the Nursing Board. Another instance of this is beyond social media, text messages. Text messages between a nurse to another nurse or a physician describing a patient in an unfavorable light. Those texts become discoverable and we had an instance where the nurses who were texting between the two both lost their license. And so there are real impact to those posts that affect nurses. Neal: So what are the best the best practices to safeguard your social media activities so as not to jeopardize your career? Jennifer: Sure, that’s a great question. 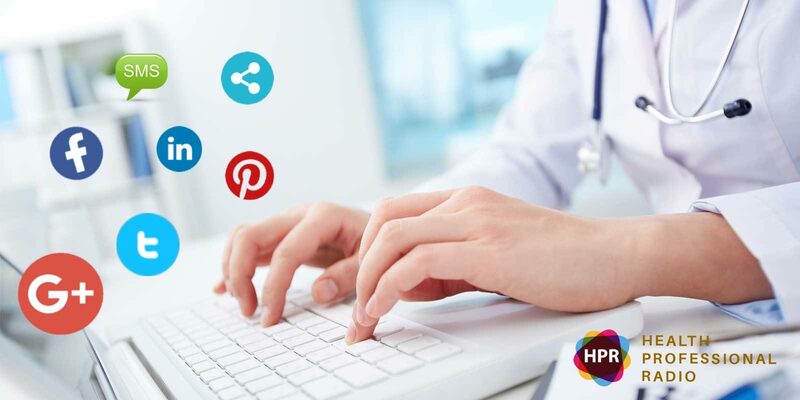 And there’s a few things that a nurse can keep in their mind as they’re going throughout their day about social media and social media policies. One, they want to adhere to their employers social media policies and procedures so they want to know where they can find that to know and understand it. You don’t want to violate any patient privacy or confidentiality. Don’t post any patient photos or videos that might identify patients or have their patient’s name in there inadvertently. Beyond that, don’t refer to patients in a disparaging manner. Even if the patients aren’t identified, if there is information in there that could identify them, you could be in trouble for that. If you want to use caution when you connect with patients or former patients on social media, our guidelines or best practices would say, “Think twice about doing that. You want to maintain a professional boundary there.” Social media though on the other hand can be used for good things with nurses like sharing educational information that might benefit others or such as safety notices or medical news. They might use social media to enhance the role of the nurse in the community, talking about the good things that nurses do for for their patients. So those few small things can really help a nurse go a long way with social media and in their workplace. Neal: So I guess maybe a good rule of thumb to follow might be not to talk about work on social media, or online or in text unless it’s a company sanctioned tweet or post that’s going out to everyone and you’re a part of that distribution. Jennifer: That’s correct. If your employer’s policy allows for social media but has some guidelines around that use, you want to be sure that you’re following that. And certainly, you don’t want to be giving out any clinical advice online. Neal: Well it’s certainly been a pleasure having you back with us today Jennifer. Where can we go online and learn more about the NSO and to get some more insight into these helpful guidelines to protect ourselves when it comes to social media? Neal: Thank you so much for coming back and I’m hoping that we’ll talk again in the future. Jennifer: That would be great. Thanks very much for having me. Neal: You’ve been listening to Health Professional Radio. I’m your host Neal Howard. Transcripts and audio of this program are available at hpr.fm and healthprofessionalradio.com.au and be sure and visit our Affiliate Page when you visit us at hpr.fm.